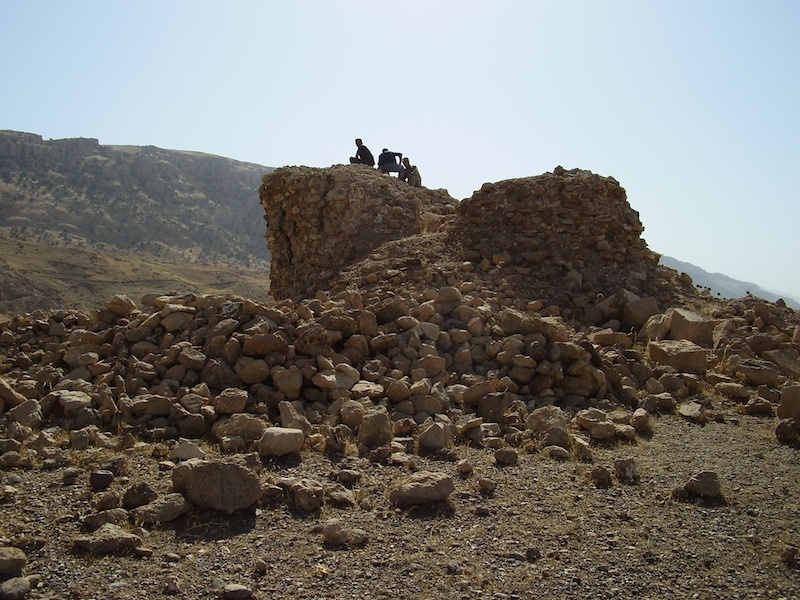 he existence of a large square tower monument at Paikuli in the eastern border of the Kurdistan region of modern Iraq was first documented by nineteenth-century travelers. Studies were made by Henry Rawlinson in 1844, followed by Edward Thomas and Carl Friedrich Andreas. By then, the Sasanian Monument was known to have originally served as testimony of the res gestae of Narseh, son of the Sasanian ruler Shapur, celebrating his triumph over Wahram II (Bahram II). The Paikuli tower was built in a narrow valley at the southernmost edge of the Qara Dāgh range in western Zagros, about 100 km. 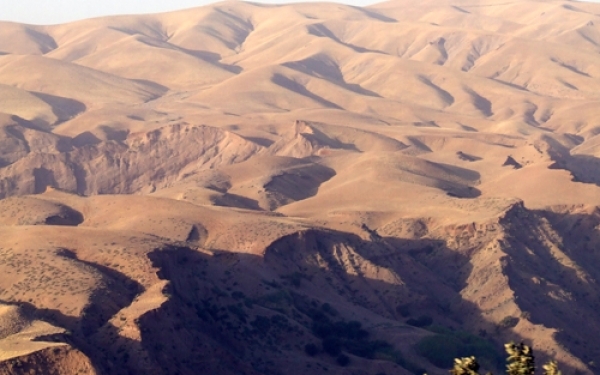 south of Sulaymaniyah. This commemorative monument marks the spot where, during a dynastic struggle begun after Wahram II’s death, Narseh, marching from Armenia to Ctesiphon, met nobles who had gathered there to pay allegiance to the future king. Evidently conferring a high propagandistic and ideological meaning to the monument celebrating his victory over Wahrām III and his allies, Narseh built the tower in a very strategic position, so that travelers crossing the Paikuli pass from the north saw it below them and those coming from the plains found it on their way to the mountain path. Moreover it was placed along a highway linking the capital city, Ctesiphon, to the Iranian Plateau and the region of Azerbaijan. Though greatly damaged by time and neglect, the royal inscription engraved on the monument is still discernible and carries significance both in Sasanian history as well as for the study of Iranian languages. The inscription was carried out in two scripts, Parthian and Middle Persian of the Pahlavi language. Today the inscriptions are either spread throughout the site or stored at the local Slemani Museum. Herzfeld visited Paikuli in 1911 and made a first series of squeezes. A second, more labour-intensive campaign followed in the summer of 1913. He began to systematize the scattered blocks from the tower and made a hypothetical reconstruction. Helmut Humbach and Prods Skjarvo would make later reconstructions; more recently, the Italian Archaeological Mission in Iraqi Kurdistan of Sapienza, University of Rome & ISIAO collaborated with local authorities on further conservation and excavations at the site on the ‘Paikuli Project‘ – the Soudavar Memorial Foundation sponsored their excavation. Starting in 2006, a joint team of Italian and Kurdish researchers started working in the three Iraqi-Kurdish provinces of Dohuk, Erbil and Sulaymaniyah. As part of this project, the team began an investigation of the monument that King Narseh built at the site of Paikuli and its historical and geographical contexts; this study encompassed historical, philological, epigraphic and numismatic studies, archaeological, geological and topographical surveys, archaeological excavations, and archaeometrical analysis of excavated materials. Set in a wider project aimed at collaborating with the Institutions of Iraqi Kurdistan for the preservation of its cultural heritage, this research has been run first by the Italian Ministry for Foreign Affairs (MAE) and the Istituto Italiano per l’Africa e l’Oriente (IsIAO) through three cooperation projects and is presently managed by the Department of Ancient World Studies (DiSA) of Sapienza, University of Rome (Italy) and IsIAO through the Italian Archaeological Mission in Iraqi Kurdistan (MAIKI). A five year project of cooperation with the Directorate of Antiquities of Sulaimaniyah and the Museum of Sulaimaniyah for the excavation, research, and valorisation of the archaeological site of Paikuli and related environs, the study of the Paikuli inscription and the creation of an Archaeological Map of Chamchamal and Darband-i Khan districts with the aim of studying the historical and geographic context of the monument has now been agreed. This will provide the framework for a thorough study and analysis of the Sasanian presence in the region and its interaction with the Roman (and later Byzantine) Empire.